Top 10 list of quick & easy ways to beat winter dryness! 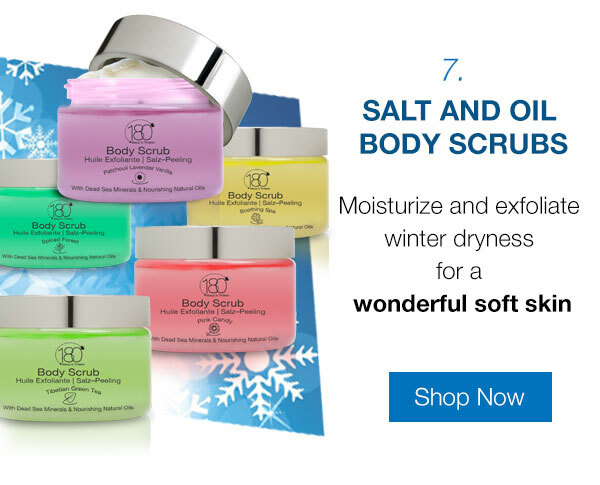 We know winter can be rough, so we’ve put together a list of ways to keep your body soft, smooth, and beautiful during those cold, dry winter days. 1. Hydration is key! Windy, dry, cold days wreak havoc on our complexion. Skin feels tight and dry, and can even get red, scaly, and itchy. Be sure to keep skin moisturized by applying face cream both in the morning and at night - and if you need to, apply throughout the day as well. 2. On the inside too! Don’t forget to keep your body quenched by drinking plenty of fluids during the cold winter months. Whether it’s your favorite herbal tea or plain old water, keep drinking to stay healthy and hydrated on the inside and out. Cracked elbows, rough knees, scaly legs, dry arms - you’re more than just a pretty face! Don’t forget to treat the rest of you, too. 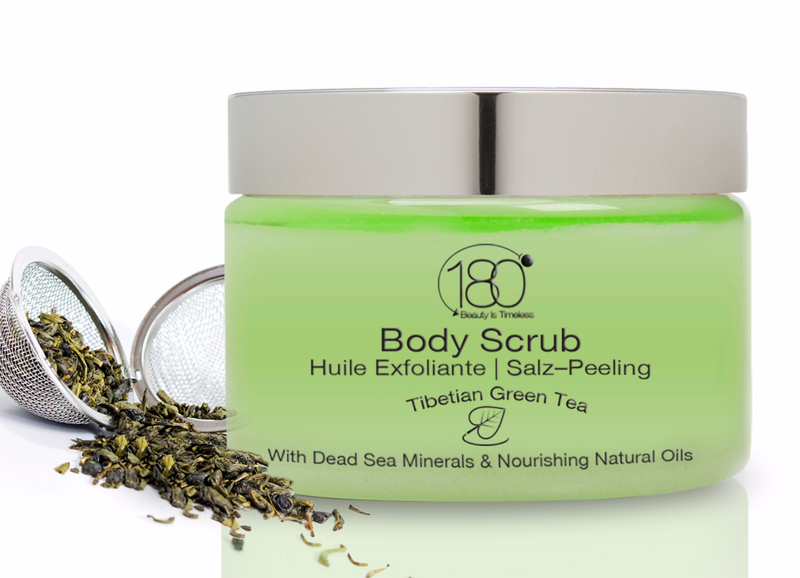 Use a mild exfoliant on your entire body to slough off dry skin and then immediately massage in a good body lotion or essential oil to trap in moisture and keep your skin hydrated & nourished. Sure, we all want to luxuriate under a hot shower for hours after a freezing cold day, but heat dries out your skin and all that water strips your skin of essential oils. Keep your showers warm and brief, five to ten minutes under the water, max. Then apply a liberal amount of body lotion and snuggle up under a thick blanket. Avoid rough hands by applying hand cream throughout the day. Choose one you like and keep a small tube in your bag for an on-the-go moisture boost. Our secret: Put some hand cream before wearing gloves - the warmth and fabric will help absorption, keeping skin hydrated longer and your hands softer to the touch. Windy, dry, cold days wreak havoc on our complexion. Skin feels tight and dry, and can even get red, scaly, and itchy. 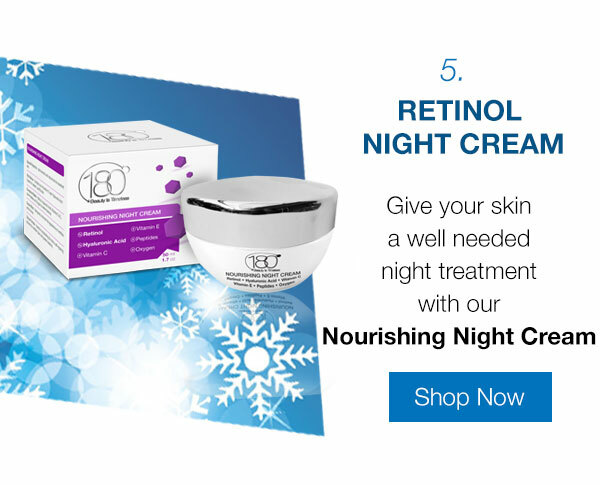 Be sure to keep skin moisturized by applying face cream both in the morning and at night - and if you need to, apply throughout the day as well. 2. On the inside too! Don’t forget to keep your body quenched by drinking plenty of fluids during the cold winter months. Whether it’s your favorite herbal tea or plain old water, keep drinking to stay healthy and hydrated on the inside and out. Sure, we all want to luxuriate under a hot shower for hours after a freezing cold day, but heat dries out your skin and all that water strips your skin of essential oils. Keep it warm and brief, five to ten minutes under the water, max. Then apply a liberal amount of body lotion and snuggle up under a thick blanket. 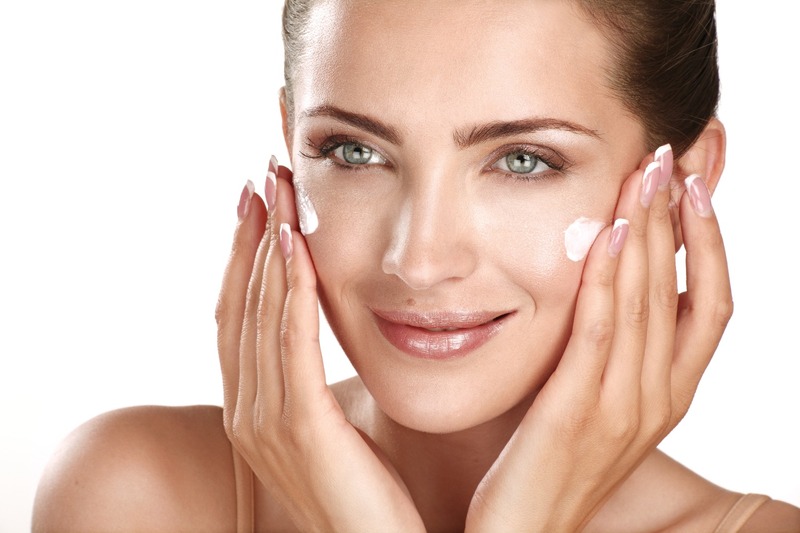 Avoid rough hands by applying hand cream throughout the day. 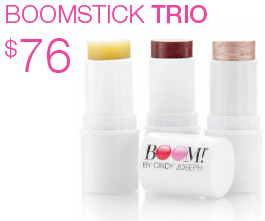 Choose one you like and keep a small tube in your bag for an on-the-go moisture boost. Our secret: Put some on before wearing gloves - the warmth and fabric will help absorption, keeping skin hydrated longer and your hands softer to the touch. 6. Always keep your skin deeply hydrated. 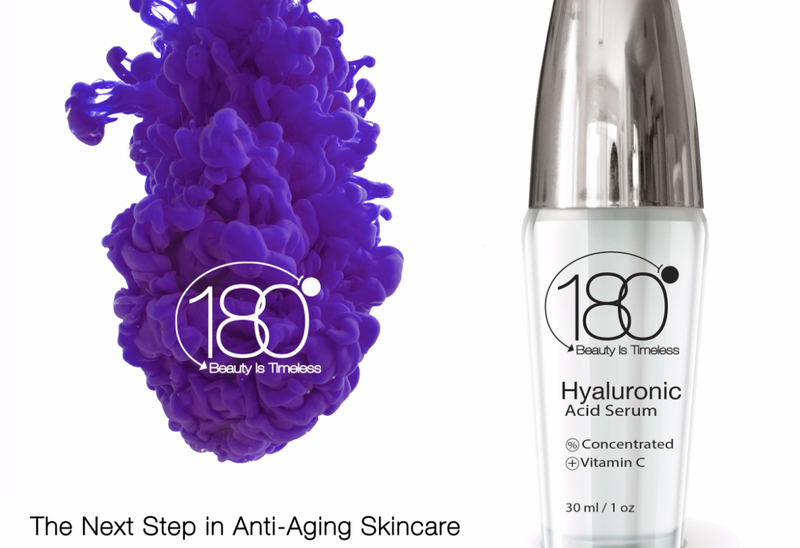 Depending on your skin type - Use one of our Serums to bind moisture to your skin from within. 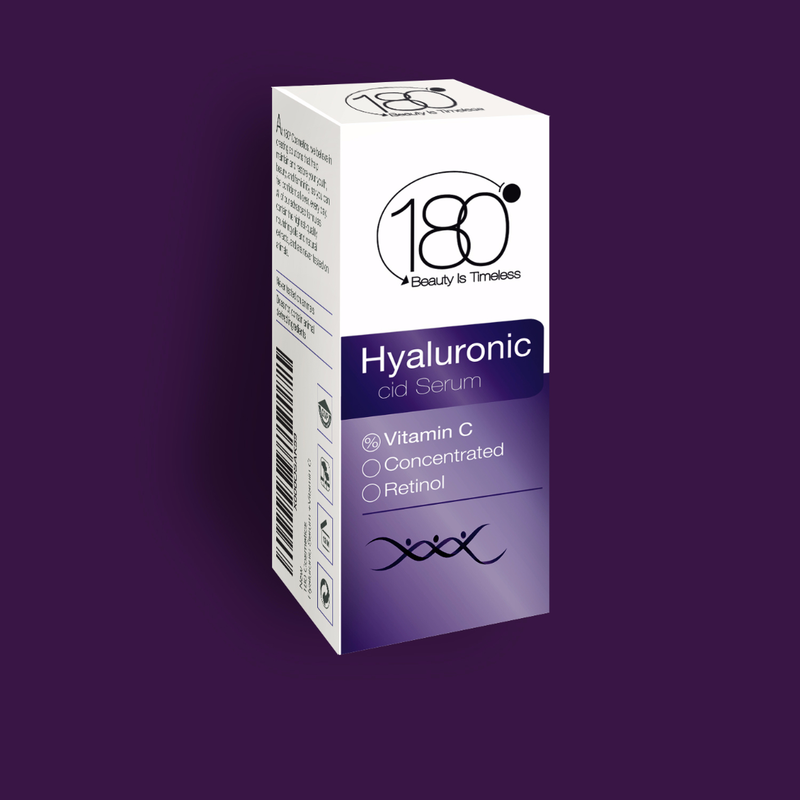 For regular to oily skin, use a water-based, quickly absorbing Hyaluronic Acid Serums. 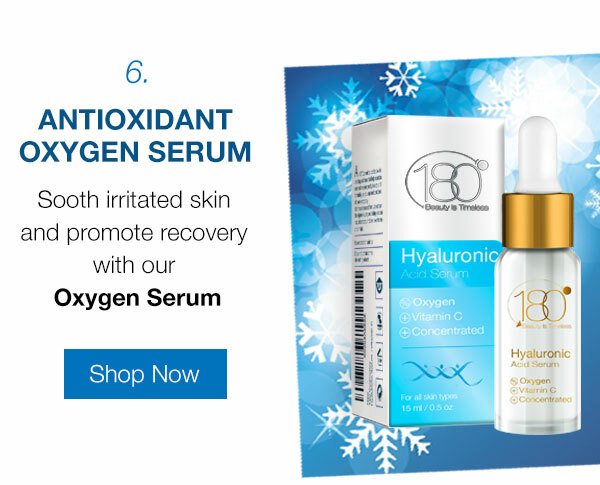 For dry skin and chapped winter skin, use an oil-based Hybrid Serum which will nourish you skin and leave it feeling smooth and supple. Nails need help during winter as well. They can get thin, weak, and brittle. Give them a boost by applying olive oil to nails before bedtime. A coat of clear polish will keep them protected from the rough environment. There are tons of lip scrubs out there to slough off chapped skin and keep lips kissably soft, but here’s our little secret: While brushing your teeth, give your lips a good brushing as well (yes, with your toothbrush!) to keep them clean and smooth. Follow up with lip balm to keep them soft and smooth. Snow flakes on your shoulders? Or is that your dry scalp saying hello? Winter is a great time to switch to a dry-scalp shampoo. We also recommend massaging some olive, coconut, or vitamin E oil into your scalp for extra moisture. Comb a few drops through limp, brittle hair as well. And avoid the blow-dryer this winter. Sure, those sunny days are few and far between, but even on the cloudiest day, daylight equals sun. And sun rays are still harmful to skin, no matter what the season. Keep that sunscreen handy and use it daily before heading outside. Woolly boots, wet socks, sweaty feet - none of these do our feet any favours. Give your tootsies a good brushing in the shower, and slather on some good old foot cream, especially before going to bed. A thick, warm pair of socks will aid absorption and keep ‘em moisturized even longer during the night. 9. Always keep your skin deeply hydrated. 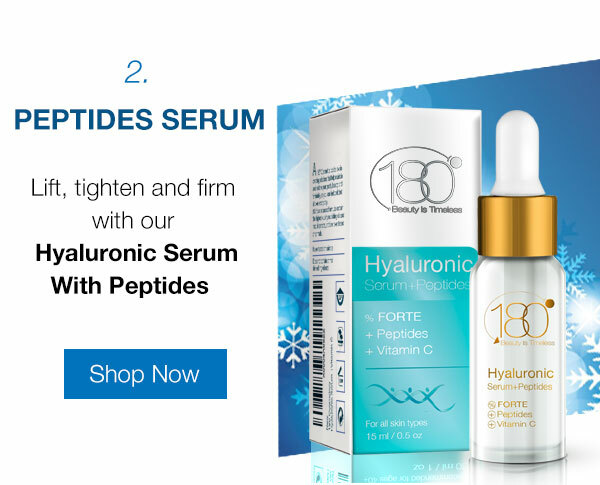 Depending on your skin type - Use one of our Serums to bind moisture to your skin from within. 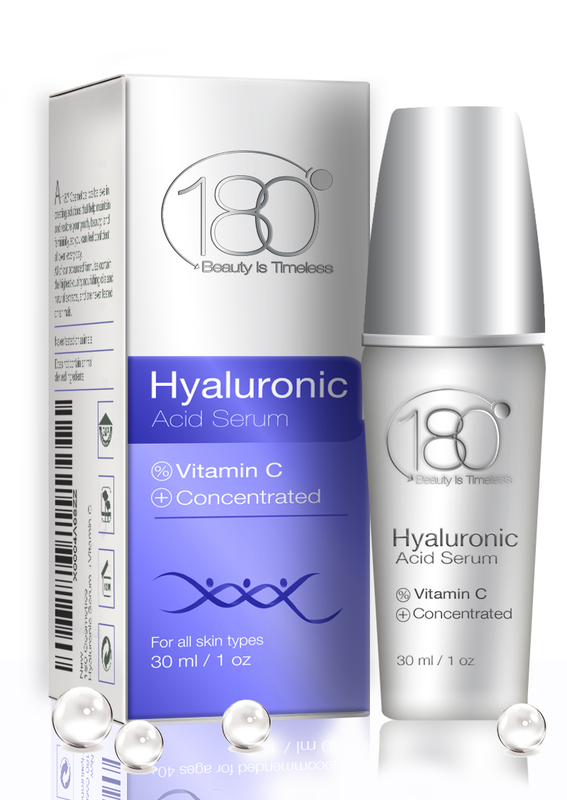 For regular to oily skin, use a water-based, quickly absorbing Hyaluronic Acid Serums. 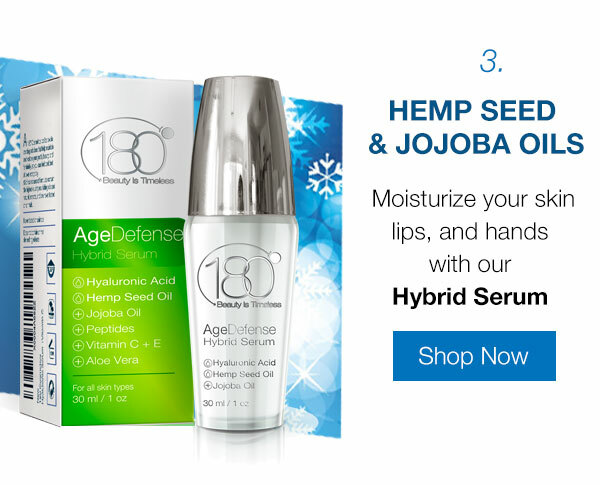 For dry skin and chapped winter skin, use an oil-based Hybrid Serum which will nourish you skin and leave it feeling smooth and supple. 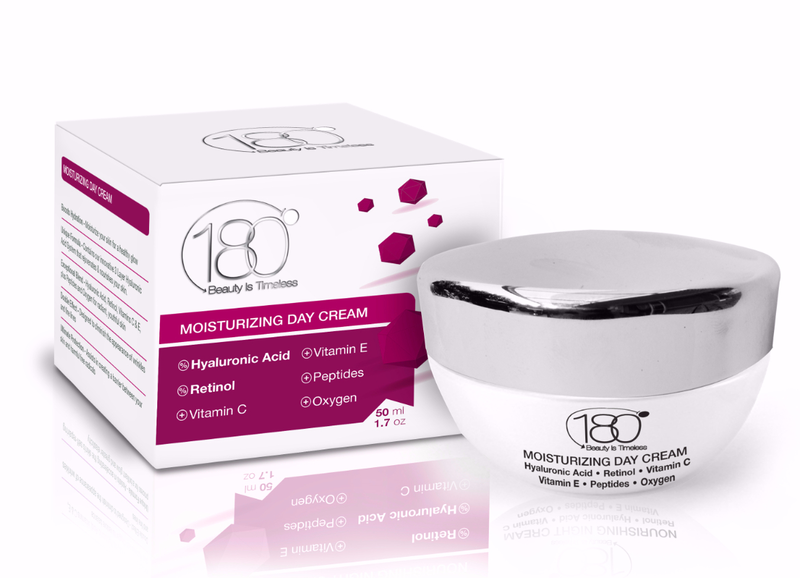 Once absorbed, your skin will enjoy a moisturizing day cream. 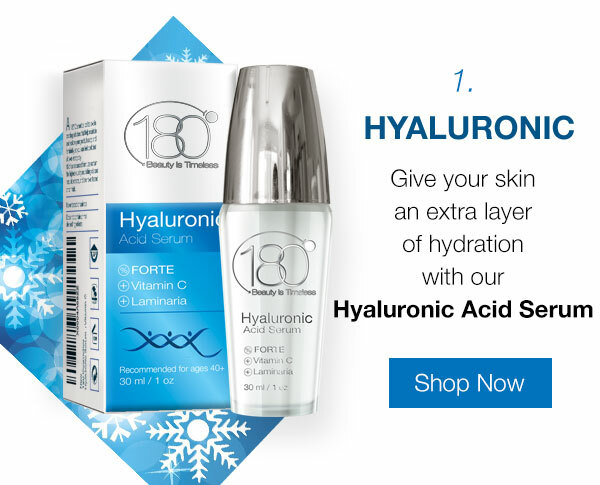 Why is Hyaluronic Acid so important to use in dry weather? 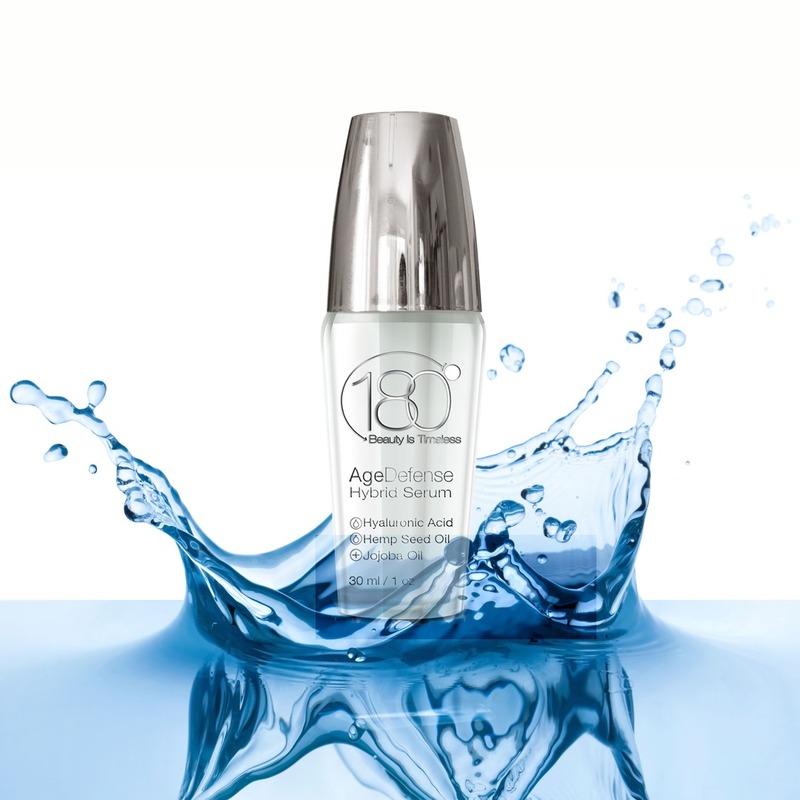 As we age, our body produces less and less of this important acid, affecting how our skin stores moisture. 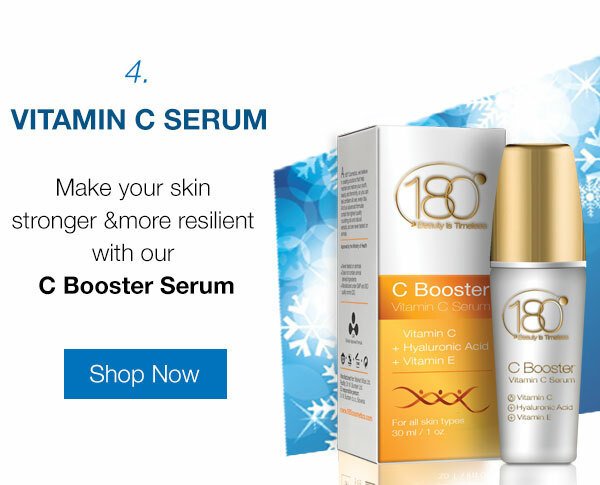 Enriched with natural ingredients and vitamin C for maximum results. 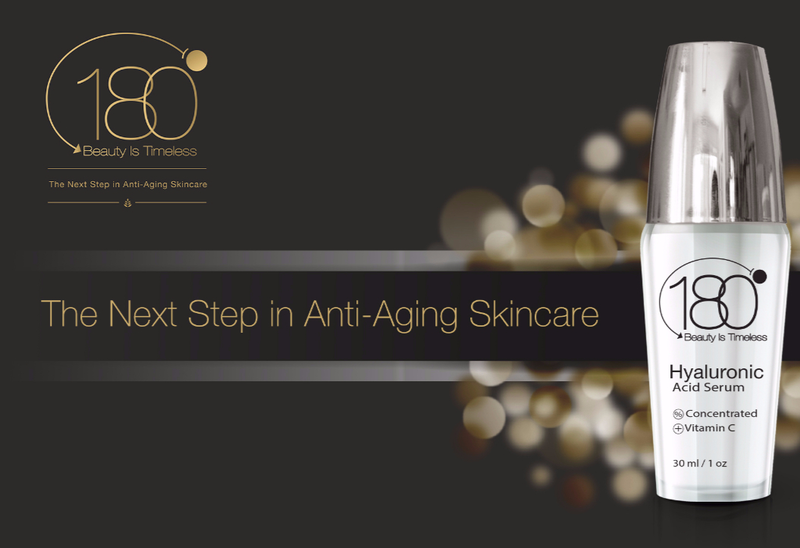 I apply this serum both at night and during the day under my makeup. i love how hydrated my skin feels (i don't apply a face cream over it, but you may want to, depending on your foundation). Also, because the product absorbs quickly, i don't have to wait a long time before applying makeup in the morning, as i would with other oily serums. My skin looks smooth and supple. i'm so glad i found this serum. "WOW! THIS PRODUCT ACTUALLY WORKS!! - I am an Aesthetician. I have soooooo many skincare products its unbelievable!! This product is FANTASTIC!! I can feel it working immediately after application!!! I'm ordering more!!! Seriously, I'm not gonna lie. I am one of those people that's always looking for the ' NEXT BEST THING' . They all seem to be the same , and I can't tell any difference!! Now this product??!! You WILL KNOW as I said IMMEDIATELY while applying it to ur face!! I LOVE THIS PRODUCT AND CANT GET ENOUGH!! "This little bottle packs a punch!!! 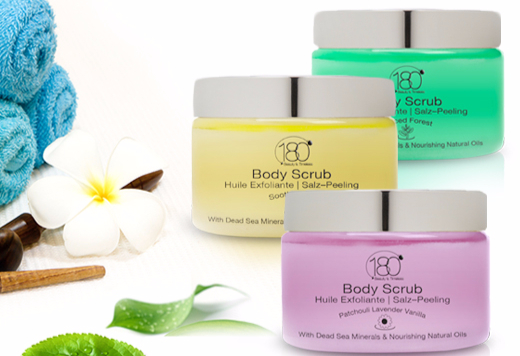 - I like to wait a few days before reviewing facial products because that's when you start seeing results! First off, the packaging on this serum is amazing for me because it is nice and slim so it will fit in every makeup case I own. It literally has no scent which is very nice and rare for most serums, especially when using it before bed. It has a really nice velvety feel to it, I was worried at first that it might be too watery but after it starts to soak into the skin it gives a nice soft feel. 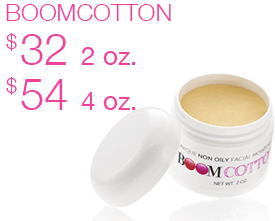 It goes great under makeup and finding serums that won't peal or crack is very hard to find! This one is a winner for sure!"